One definition of management is: "Getting other people to work toward achieving your objectives." So how do you find people who can do the work, do it well, and produce the best results? To hire the right person for the job, you first have to have a description of the ideal person. With the Profile XT™, you create a benchmark indicating the ideal attitudes, interests, and skills for each position. Then, when a candidate completes the Profile XT assessment, you'll know virtually instantly if there is a match between the candidate's answers and the benchmarks. You'll be able to see at a glance if their attitudes, interests, and skills fit your ideal employee profile. You can create any number of benchmarks for multiple positions against which to compare new hires. Productivity is the ultimate goal of management. But how you measure performance may not give you an indication of which employees are doing the work. And how do manage employees to cost-effectively enhance productivity? Profiles Performance Indicator™ is the tool to use. When you're promoting employees, you need to be certain that their interests and skills fit the new position so they will continue to be productive. Many organizations take their most productive employees out of a job they do well, only to promote them to one in which they don't. Does your organization have a process to ensure the success of your succession planning? Return to the Profile XT reports or have your candidates for promotion retake their assessment to monitor changing attitudes and interests. For sales employees, performance and productivity have a direct effect on revenue. But did you know that 75% of all salespeople are either not fit for a sales position or are selling the wrong products and services? To ensure you're hiring the right person for a sales job, have them take the Profiles Sales Indicator™ assessment. You'll know before you hire them if they have what it takes to become a sales superstar within your organization. After your sales people convert prospects into customers, the responsibility for supporting, retaining, and maybe upselling those customers is up to your customer service employees. Customer service excellence takes a special person. Your top customer service reps need to be empathetic and helpful while acting according to company guidelines and policies. So how can you tell when a candidate possesses the right mix of skills and attitudes to enhance the performance of your customer service department? Be sure that all of your customer service personnel take the Customer Service Profile™ assessment. The investment will pay off in higher customer retention and satisfaction, which leads to more referrals and sales. Every organization needs teams to work together to accomplish your objectives. Teams are dynamic entities which depend on the synergistic relationships of the members and on the insightful guidance of the team leader. Are you sure your teams are made up of a balance of the right people? Do your team leaders have the communication skills and leadership skills to know how motivate your teams? Do your team members have the qualities to work together to solve problems, resolve conflicts, and achieve the objectives? Profiles Team Analysis™ provides management and team leaders with insights on the inner workings of your teams to ensure they are working cooperatively toward their goals. Productivity isn't just a matter of managing line-level employees. Your management team must also be capable of communicating goals, motivating your workforce, and measuring and managing the results. The Profiles Checkpoint™ survey , used in conjunction with the Checkpoint Skillbuilder Series™ will tell you which managers are most productive and how to train and retain your best management personnel. Because you're so close to your organization and your people, maintaining objectivity is a challenge. If you're charged with improving productivity, where do you start? You start by getting a handle on your current situation, setting appropriate objectives against which to measure progress. Consulting with the experts at Business Insight Technologies will help you achieve your goals faster, with less effort, and with a high rate of return. 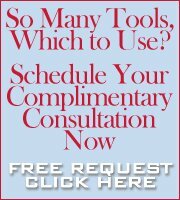 To increase your productivity, schedule your initial complimentary consultation now. Discover valuable information in our Resource Center.